By spraying a spore – cocktail which then is carefully worked into the soil in the root zone of adult trees. Through the inoculation with living spawn3 (mycelium). By introducing successfully mycorrhized young plants, from which the fungus can spread in the stand. All these techniques are applied by the Woodland team and we can give you advice, what technique is the most appropriate in the situation in question. The fine fungal hphae4 exponentially raise the absorbing superficie of the roots and thereby access water and nutrients,the tree itself could not reach. Consequently a well mycorrhized tree is clearly more vital and less susceptible to drought and various diseases. The best protection is provided by the so called Ectomykorrhiza5. These form a dense furry layer, the so called fungal mantle, as well as an inner protective ring (the “Hartigs net“) around the root, which are a very effective barrier against root pathogens. The different fungal species vary a lot in respect to their protection effectivity. 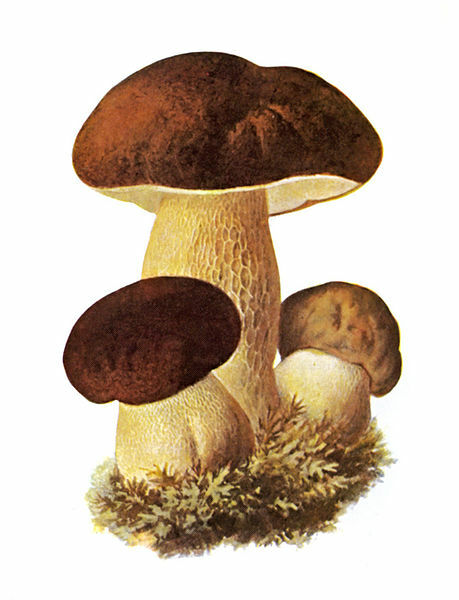 Species that produce valuable edible mushrooms and at the same time are highly protective, are e. g. the cep (Boletus spc.) or the chanterelle (Cantharellus spc.). In addition to the pure mechanic defence mentioned above these species produce antibiotic and antifungal substances, which inhibit soil pathogens. These edible mushrooms occur on cork/ holm oak and can be inoculated by our team. After a successful development of the spawn in the course of a few years the appearance of mushrooms can be observed. The Truffle (Tuber spc.) is a special case, because due to higher costs a mycorrhization recommends rather for the aimed production of mushrooms, than because of protective means. In such a case an irrigation during the summer months is recommendable. For more detailed information do not hesitate to contact us. Mycorrhiza: myco = fungus, rhizom = root » consequently a mycorrhiza is a root fungus, leading a symbiotic life on the root of the tree. Symbiosis: living community between plant and fungus, the plant providing sugar from the photosynthesis, while the fungus contributes water and nutrients.